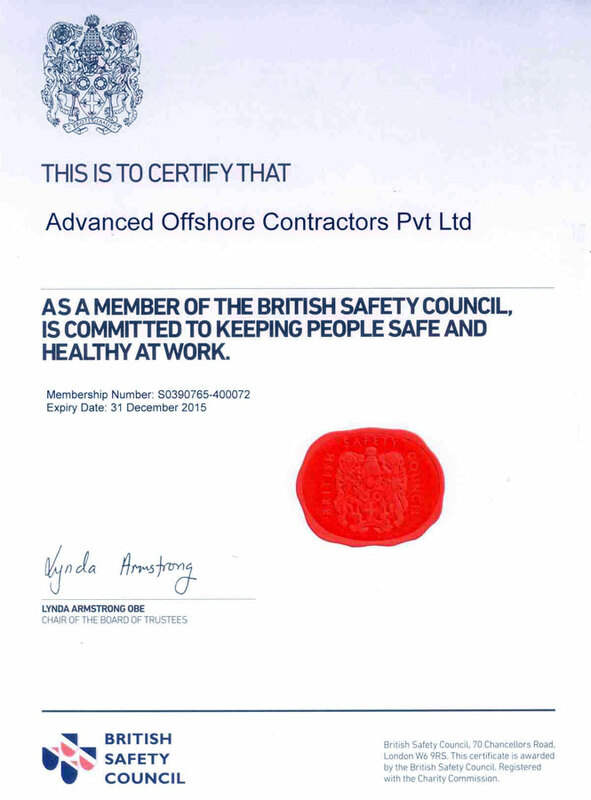 Advanced Offshore Contractors Pvt Ltd. a leading offshore underwater services provider was established in 1995 and has a registered head office in Mumbai, India. 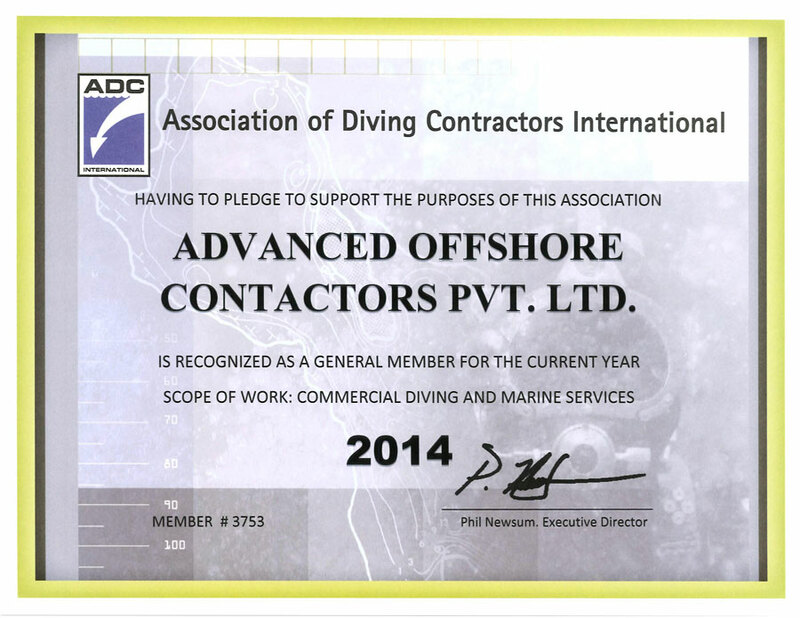 AOCPL can provide its customers with a a variety of diving services to suit their needs. 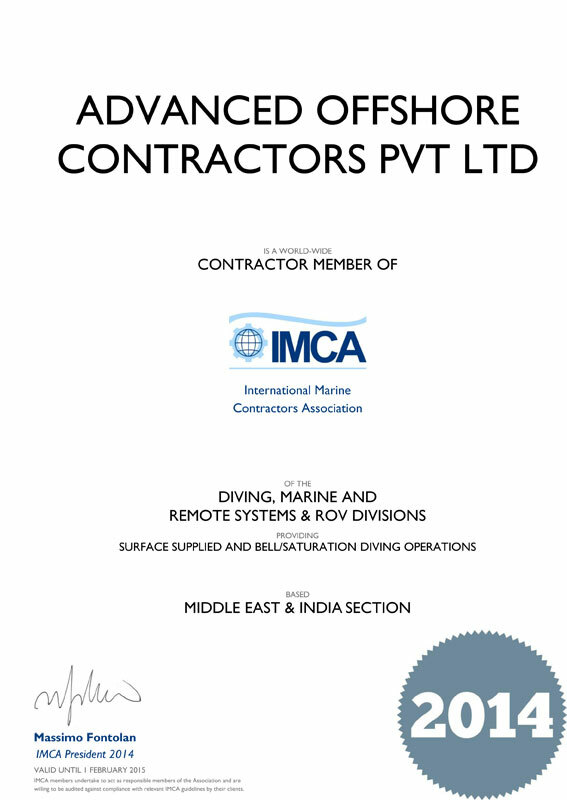 From the basic underwater survey, right upto a full inspection program or Heavy construction project using surface orientated diving, saturation diving technique & Remotely operated Vehicle [ROV]. 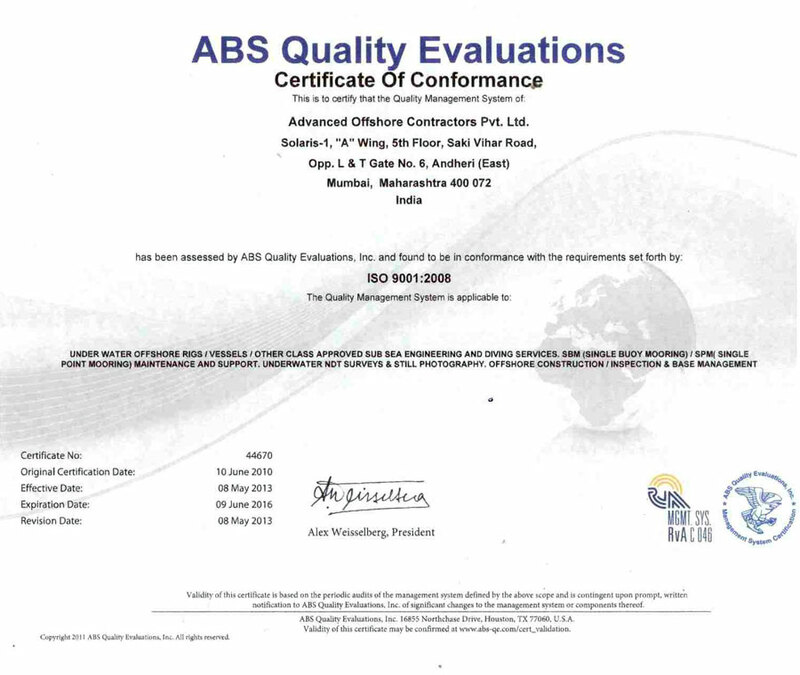 Our Expertise being Quality underwater services to the global Market in entire Asia region. We have the capability and resources backed by our experience to satisfy every need for Offshore underwater works. 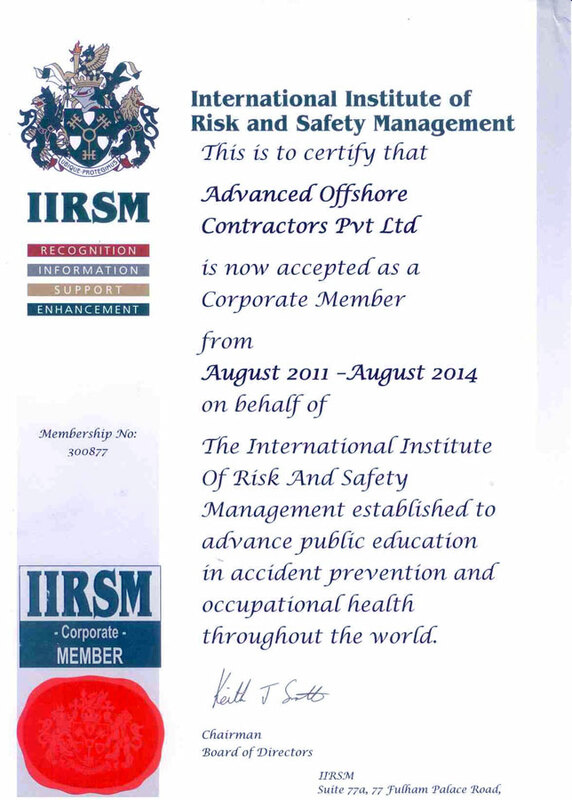 Member of International Marine Contractors Pvt. Ltd.